Personality: She is very hyperactive, but very shy. It takes a while for her to get to know other dragons and too feel comfortable around them. She is very caring when she does get to know you. Very curious about how things work, and about her race. Very protective of her family. Interests: studingPlaying with sister, playing with mother and father, learning how to heal. Dislikes studying, being told what to do, and being alone. Fears: Older dragons, being left by her parents, her sister being killed. Appearance: Her entire body is white like a diamond; however, her underbelly is a light blue. Her wings are 4 feet long with the wing membranes being a light see through white. Her horns about 2 feet long, and her snout is about 2 feet long and comes to a triangle point with a little blue dot on the end of it. Her tail is 3 1/2 feet long with a little white diamond on the end of it. Family: Her Father is Hinu, her mother is Sapphire, and she has a little sister named Jewel. Strengths:Fast and agile. Being able to run around 25mph when she has full stamina. She can summon one snow dragon that looks like her, but it's made of snow. It's very weak and one hit will take it out. It is mostly used for a distraction so Diamond can escape. This skill does take a lot of her stamina to pull off, so she can't really fight after she uses it. Takes her 2 hours before her stamina is back up enough to use it again. Weaknesses: She's still small, so she doesn't have much stamina. Her Ability wears her out really fast. She also doesn't have much if not at all training in fighting. When she uses her stamina up when summoning the snowclone. Her speed drops to 10 mph. Combat Style: Summons her snowclone to run around the enemy, and try and confuse them. Then Diamond retreats if they were successfully confused. First daughter of Hinu and Crystal. She was born when they were both away fro the main castle of the Icewings. She doesn't know much about her people, because most of them have either died out or left for reasons unknown. She just now that they use to be a proud and wonderful race, and she is happy that she is one of them. "Daddy," Diamond called out as she ran around outside in the snow. Her father was playing with her, while her mother was taking care of her younger sister and working on a healing potion. Daddy, watch this," she said as she started focusing her energy. Suddenly a little snow dragon appeared right beside her, and ran after Hinu. Few minor edits, but yes it's done. With your personality, it's stated in the app to be 'Detailed'. Two words is not detailed at all. Please describe what your character is like, how they react to things and such like that. Are they kind? Considerate? Self centered? Explain your characters personality in more than just two words, keep it around 5 decent sentences. Inheritance. This is talking about if they are a hybrid between two dragon species, or if they are a purebred. If they are a hybrid, you need to state what that is. For example, 50% IceWing, 50% FireWing. If they are a pureblood, it's literally 'Pureblood x' where x is the species your dragon is. Also, as a hatchling, is she 36 feet tall? Because, currently, she's very disproportional, having a tiny tail, wings and such. Perhaps state near the 36ft if that's how large she is when she's an adult, if that her size. Please put down how tall she is as a hatchling, and how tall she is as an adult. And can you please edit the app so that it matches the format of the template given in that link, as there shouldn't be any underlines, nor bolding in the text that you submit- it's rather confusing to try and grade. Or, for future things, find the things you have edited. 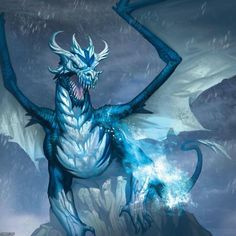 With your snow dragon that you make, how often can you make it? Every single post? Or just the once? And how long does this take before you can remake it again? Right. Took so long to update, since i've been working so much. Updated.